In the bottom left corner click the + button. 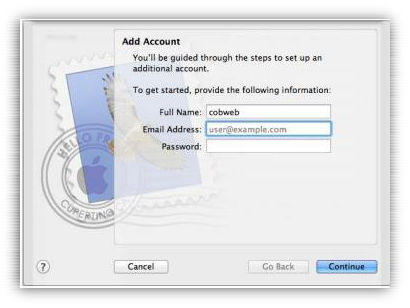 Enter your full name, email address and password where prompted, then click Continue. 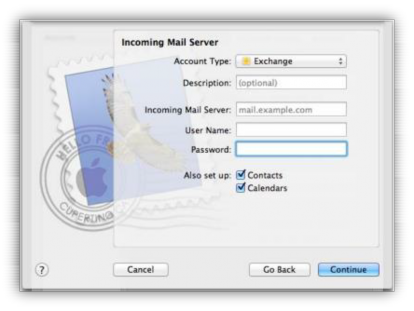 Select the account type as Exchange and enter the incoming mail server as outlook.hs20.net, the username as your full default email address and your password. 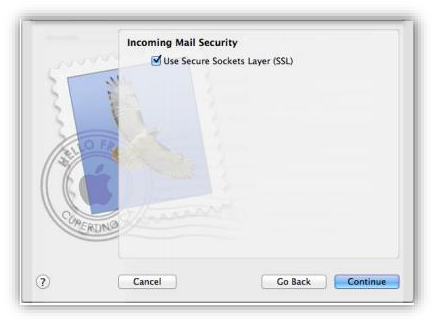 Click the Continue button and tick the Secure Sockets Layer (SSL). Tick the Take Account Online option and go to Create. Your account is now fully set up.